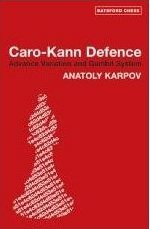 Caro Kann Defence Advance Variation and Gambit Sys. Type: BOOKS. Detail: Karpov. Product Code: 9780713490107.